Bloggery reader Jerel sent this over to me. There's a new company out there that's like zipcar for bicycles and they're currently polling folks to see where they should expand to next after they debut in Denver. Set up like a certain car-share service for pedal-mobiles, B's setting up stations across cities that'll grant you access to a two-wheeler whenever you want, and not just because someone left it unlocked outside the bar, and it's freezing, and you're in college so what the hell's anyone going to do about it. Pick a membership option (24-hr to yearly) and B'll mail you a universal swipe card that'll unlock a ride, or just show up and rent on-site; once you've used, drop it off at any station you want. Normally, this never would have caught my attention ... because I don't know how to ride a bike, but I just checked the stats on the page and Boston is in 18th place. That's just not right. I don't care what it is, we should win. 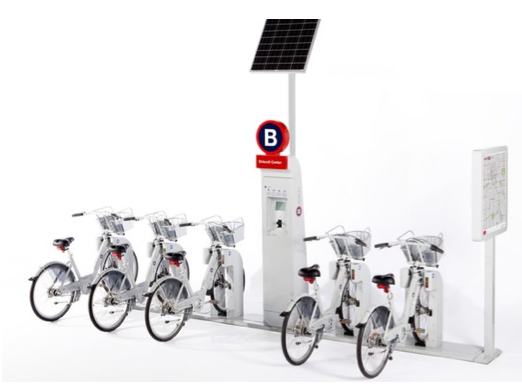 1 Response to "Bring B-Cycle to Boston"